Looking to dress up your kitchen this winter? 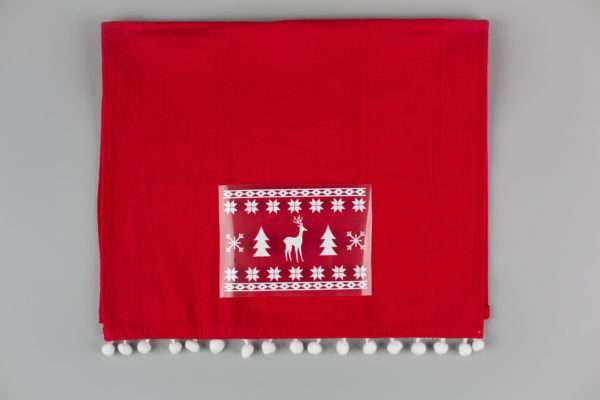 How about a charming sweater-inspired tea towel? 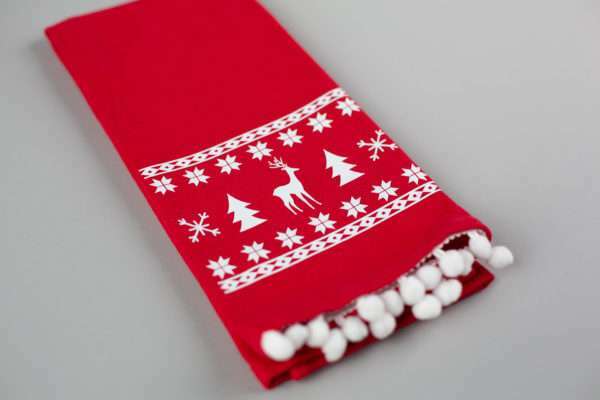 We are going to take a design and, using heat transfer, apply it to some darling towels to add some festive fun to your kitchen. Follow along with this tutorial to see how easy it is! 1. 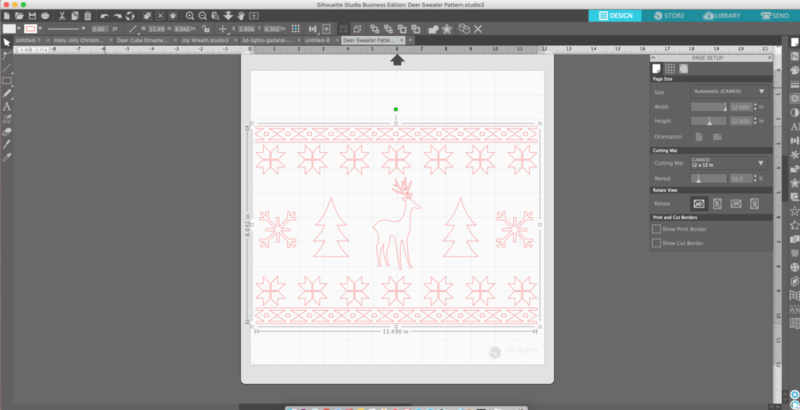 Begin by opening the Deer Sweater Design (Design ID #282042) in Silhouette Studio®. 2. Scale the design to the desired size. 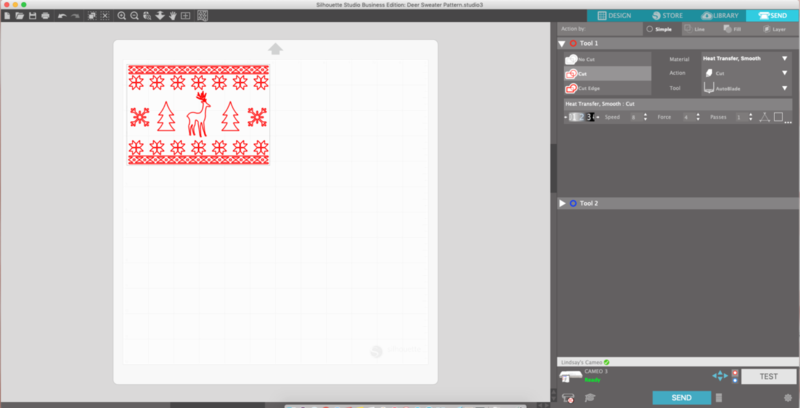 This can be done by clicking on the design and then clicking and dragging one of the corner scaling squares. For our tea towel, we scaled down to 5.5 inches wide by 3.8 inches high. 1. Send it to your Silhouette machine by clicking the Send tab, located in the top right corner. 2. Choose “Heat Transfer, Smooth” as the material. If you don’t have an AutoBlade, make sure to adjust your blade. 3. Silhouette Studio® will prompt you to mirror the design. Because we don’t have words in our design, it is not as critical to mirror the design, but the design will be flipped when you apply the heat transfer. So if you want the deer to be facing in this direction send the image mirrored. 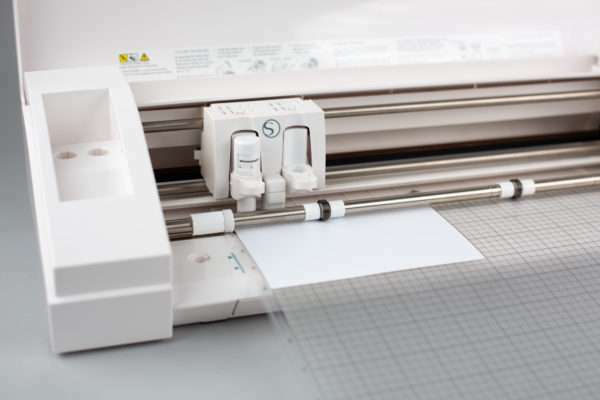 When you mirror the design from this step, remember that it flips the entire page, not just the design, so you may need to adjust your vinyl placement on your cutting mat. 4. 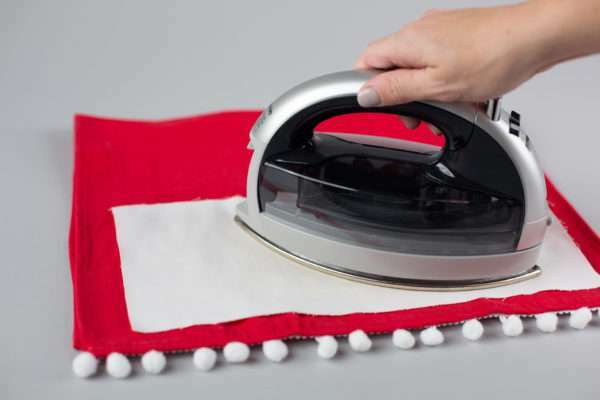 Follow the directions for the heat transfer by placing the material shiny side down onto the cut mat. 3. 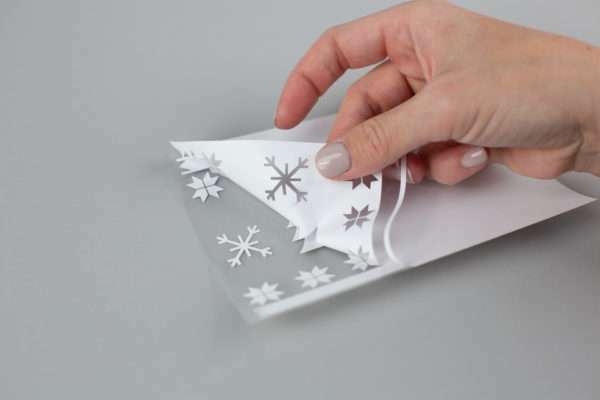 After the image is cut, weed the design with a hook tool to remove the negative space. Take extra care not to pick up any of the design and remove all the small pieces, such as the background in between the antlers. 1. When you have removed all of the excess heat transfer, it’s time to place the design on the tea towel. I grabbed this tea towel from the dollar bins at Target. Place the heat transfer sticky side down. 2. Cover the heat transfer (and the attached plastic liner) with a cloth and press down with a hot iron (no steam on the cotton setting). Make sure that the entire image gets pressed with the iron for the required amount of time. Before removing the clear plastic sheet, flip the towel over and press the underside of the design with the hot iron to help the heat transfer adhere to the cloth. 3. Then carefully remove the clear plastic liner from the tea towel. Check to make sure all of the heat transfer is adhered to the tea towel. If any part of the heat transfer isn’t, transferring, replace the cloth and press over the section again with the iron. When you can successfully remove the plastic liner, you’re done! 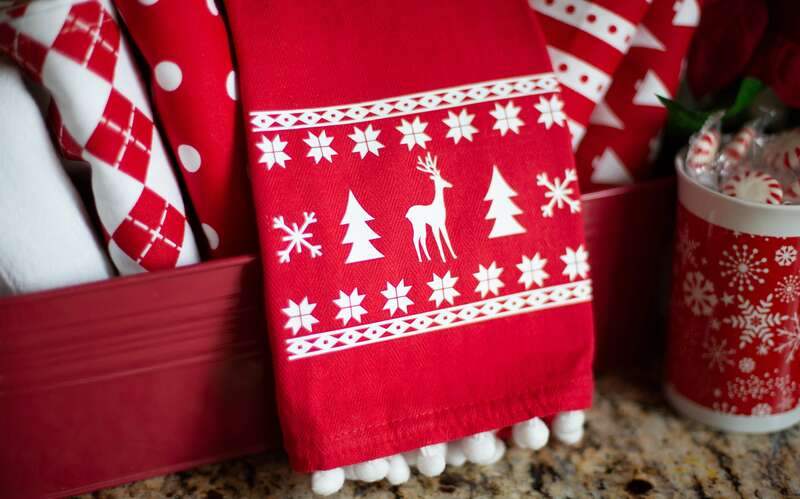 Now you can dress up your appliances with some festive holiday cheer! Or you can use it as a quick, handmade holiday gift!